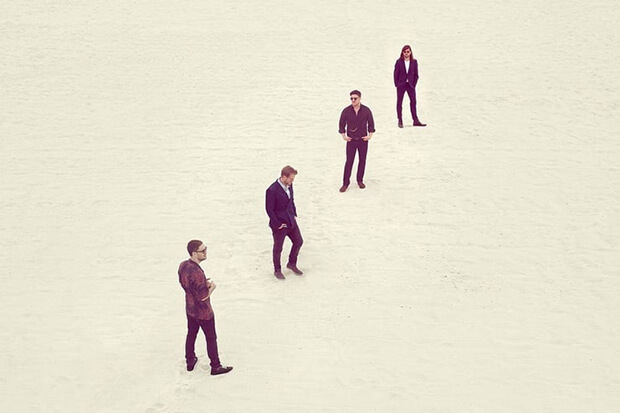 Mumford & Sons dropped their 4th LP, Delta, at the end of last year and debuted at number one on the Billboard 200 — their third chart-topper in a row. While “Guiding Light” was rolled out as the lead single, “Beloved” quickly struck a chord with fans. A rousing tune about profound grief, the song has already racked up more than 20 million cumulative streams. As such, it was a no-brainer to release it as their next single and today (March 20), the suitably emotional video arrives. “Everyone knows loss in one way or another,” Marcus Mumford says of “Beloved.” “This song is about that. I’d never sat with anyone as they died before, and it had an effect on me. As it does everyone I know who has experienced it. But there’s wildness and beauty in it as well, and a deep honoring, that became the beginnings of this song.” Director Charlotte Regan captures that experience via a heartbreaking narrative about a boy spending those last, precious moments with his mother. Grab a tissue and watch Mumford & Sons’ “Beloved” video below.